European license plates have become a popular auto accessory over the past 22 years as European autos emerged as the standard for automotive excellence in the global market. With luxury brands like Mercedes Benz, BMW, Audi, Land Rover, Jaguar, Rolls-Royce, Bentley, Ferrari, Volvo and others dominating the market, owners of these luxury autos are requesting their vehicles be fitted with country of manufacture license plates. Licenseplates.tv has been the store of choice for European license plates from fifty-five (55) countries within this continent and featuring every country in the European Union. The most popular European license plates are from Germany, Great Britain and the United Kingdom, Sweden, France, Italy, Switzerland and Austria and Licenseplates.tv have been experienced manufacturing license plates for over twenty-two (22) years. 1) Country Specific Fonts are embossed on each European license plate –virtually all other retailers use the new German fonts. Licenseplates.tv’s Swiss license plates have authentic Swiss license plate fonts and British license plates have British fonts. Our European license plates look real. 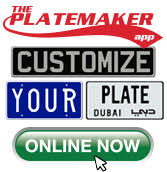 2) Licenseplates.tv European license plates are supplied with state seals and expiration decals at no extra cost. Virtually all internet retailers charge for state seals or expiration decals or do not offer. 3) We have used our global resources to replicate current and antique European license plates so measurements, colors and other designs are as close as possible to the originals. 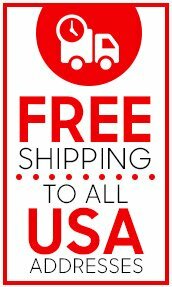 With free shipping to all USA addresses and the widest variety of European license plates on any internet store, we have set the standard in delivering the most authentic and widest variety of European license plates to motoring enthusiasts and car collectors.